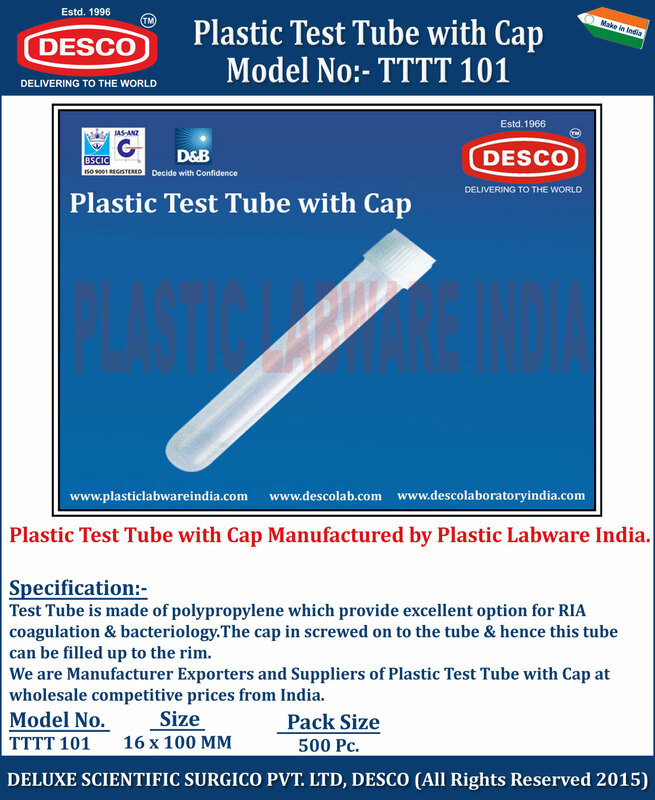 Test Tube is made of polypropylene which provide excellent option for RIA coagulation & bacteriology. The cap in screwed on to the tube & hence this tube can be filled up to the rim. We are Manufacturer Exporters and Suppliers of Plastic Test Tube with Cap at wholesale competitive prices from India. TTTT 101 16 x 100 MM 500 Pc.